Known for manufacturing, And Exporting best in class Medical Equipment and Spare Parts, Sree Krishnaa Industries was established in the year 1995. The offered product range is inclusive of Gas Outlet, Bed Head Panel, etc. By using advanced machinery and best quality raw materials, our professionals manufacture these products in conformity with the international standards of quality. These products can be customized as per the demands and requirements provided by the customers. Offered by us at affordable prices, these products are highly appreciated among our customers. 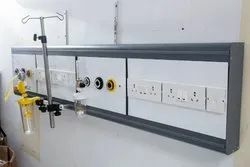 Due to its energy efficient design, user-friendly operation, low maintenance, long serving life, high performance and resistance to corrosion, the offered medical range is highly demanded in the market. In addition to this, these products are used in various hospitals and research labs. Offering you a complete choice of products which include bed head panel, hospital bed head panel, wall mounted bed head panel, medical bed head panel and modular bed head panel. 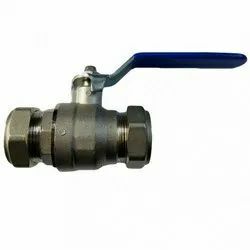 Manufacturer of a wide range of products which include isolation valve. 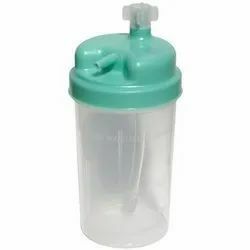 Offering you a complete choice of products which include ward vacuum jar. Offering you a complete choice of products which include double arm surgical pendant, icu single arm pendant, double arm pendant, hospital icu pendant and single arm pendant. Our range of products include bpc flow meter. 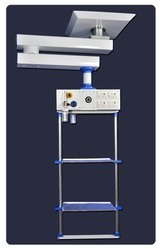 We are a leading Manufacturer of theater suction trolley from Coimbatore, India.